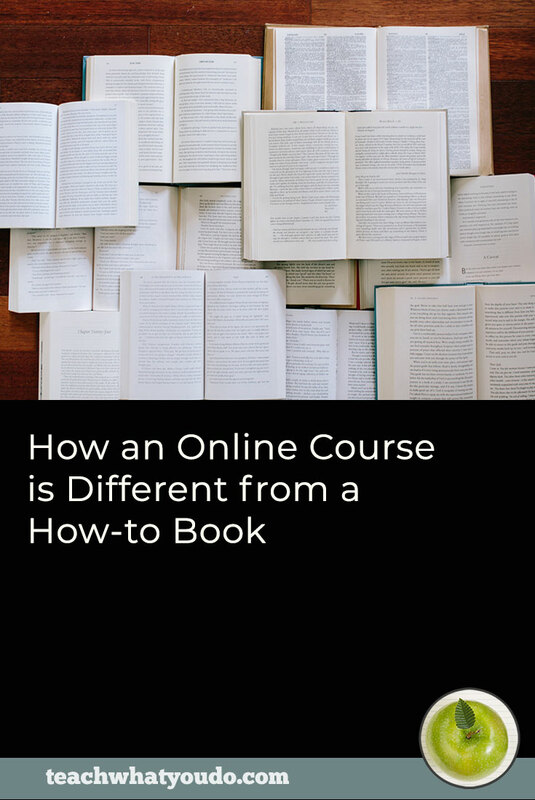 While I'm not a fan of rushing headlong into creating an online course without researching your audience, their needs, and profitable angles for a product . . . 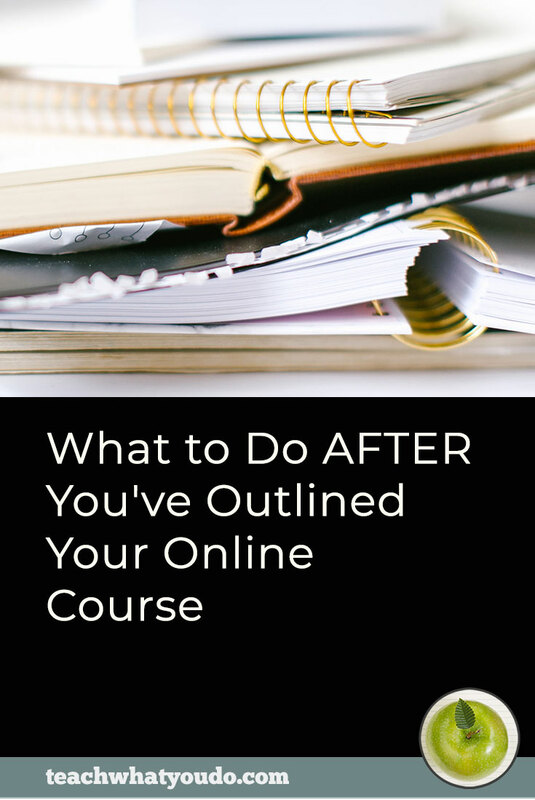 I've seen too many would-be course builders get lost in the weeds of researching their topic, evaluating tools, learning technical skills, practicing and outlining and re-outlining . . .
. . . to the point that they have even convinced themselves that they're really and truly focused on moving forward . . .
when, actually, . . .
. . . they. are. stuck. I'm guilty of this myself. Fear, confusion, and a preference for busy work over hard work can all keep me in this stuck place. So how can you balance a need for validation with a contradictory need to get moving sooner rather than later? ANSWER: You can build something quick and small and relevant that gets you into the game and onto the field of play with minimal risk. Yes, there will be some costs. But there will also be intellectual, strategic, and marketing gains as you start using tools, working with prospects and even students. You'll quickly understand what's working and what's not working. You'll be getting so much closer to your customers and gaining more understanding about how you can serve them with bigger, more expensive products in the months to come. A major benefit to creating a business around online teaching is that the barriers, risks, and financial investment can be quite low. Don't lose those advantages by sitting on the sidelines thinking and planning for too long. 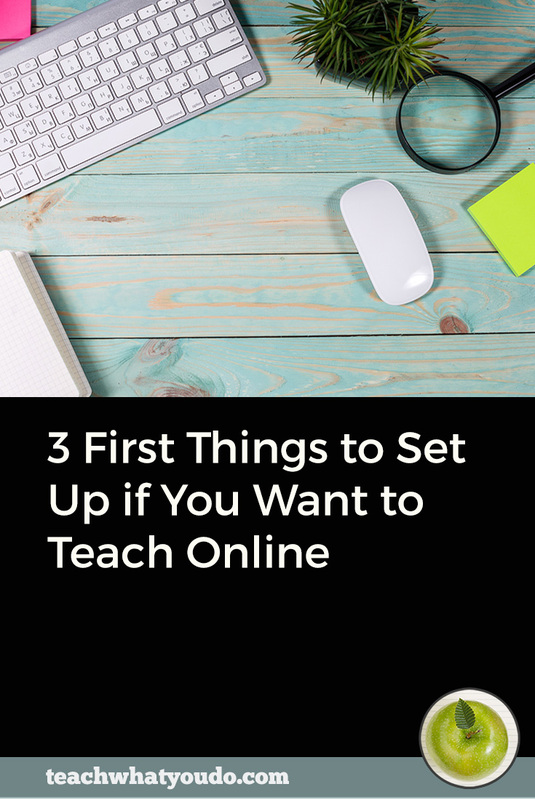 Here are four ways to get started with a minimum viable online course. Remember the goal here isn't to get rich with this course, it's to get into the game, increase your own skills and get closer to your customers. Don't worry about having a classroom with all the bells and whistles yet–I've got suggestions for you below. Don't worry about a shopping cart and beautiful sales pages yet–again, I've got suggestions for you below. Price accordingly and get going. 1. Turn the coaching you're already doing into a “virtual live” course with 3 to 5 sessions. Since you've got a talent, skill, or special expertise that you're aiming to build a course around, there's a good chance you've already been coaching or teaching one-on-one. If not formally, have you been doing it informally? And if you haven't been doing this, could you be doing it? 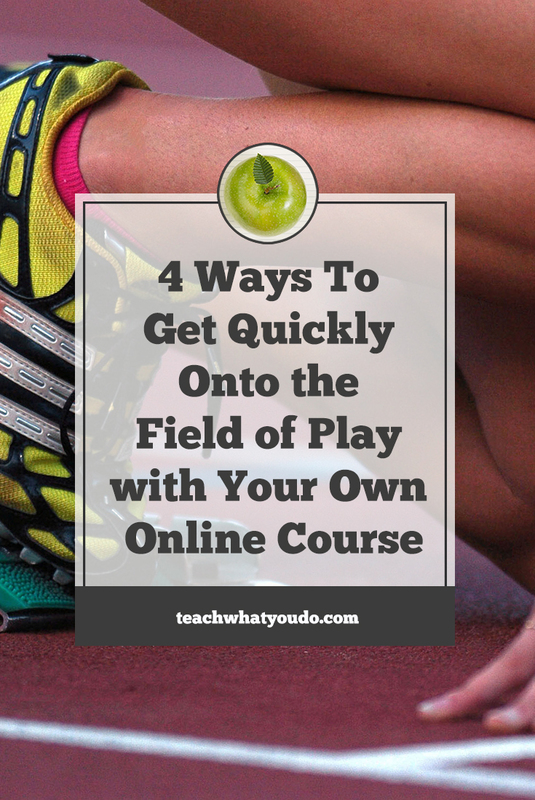 Now take this one-on-one coaching work and turn it into a virtual live course that you deliver over 3 to 5 sessions. Choose and sign up with a webcast service (i.e., GoToWebinar, zoom.us, Webinar Jam) at the minimal level. Choose and sign up with a secure video platform at the minimal level. I recommend Vimeo or Wistia. You could use private videos on YouTube, but if you're serious about teaching online, you will need a place to store and encode videos so that they play back smoothly on any device. Get a friend or colleague to attend a couple of practice sessions to make sure your screen and or webcam are showing correctly, that you can be heard, and that you can successfully create a recording. Each week before the live session, prep and practice. Upload recording to video service and send out email with link to the recording for those who couldn't attend live or who want to listen again. 2. Pull out one important part of that signature class you're planning, and create a short class on it. I wrote in a previous blog post about how the sheer scope of all you believe you need to teach your students can get you stuck, circling around the octopus of your topic, trying to hug and contain it and yet moving around and around but not forward. It is, indeed, wonderful to sell and teach with a big, signature, premium-priced course. But you don't have to start there. Instead start with a piece of that course, a sliver that you can get quickly created, that you can use to introduce yourself to your audience. You could teach this piece of your class with screen-capture video, live-demo video, pdf, or even audio. Make this choice based upon the best format for the material. This means that if you don't already know how to use the needed tools, you'll be digging in and learning them as you make this lesson (or short series of lessons). 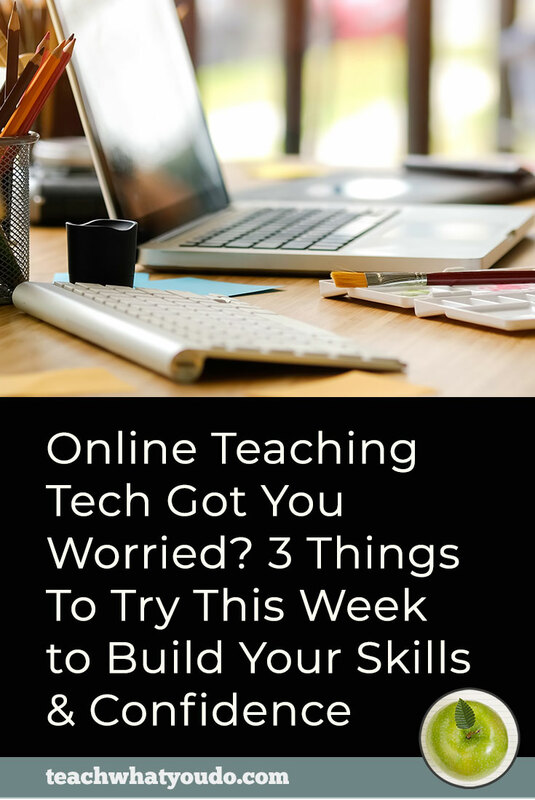 You're going to need these skills eventually and there's no better way to learn than by rolling up your sleeves and getting to work. Choose a piece of your signature course that can stand on its own and that your students can use to get immediate wins. 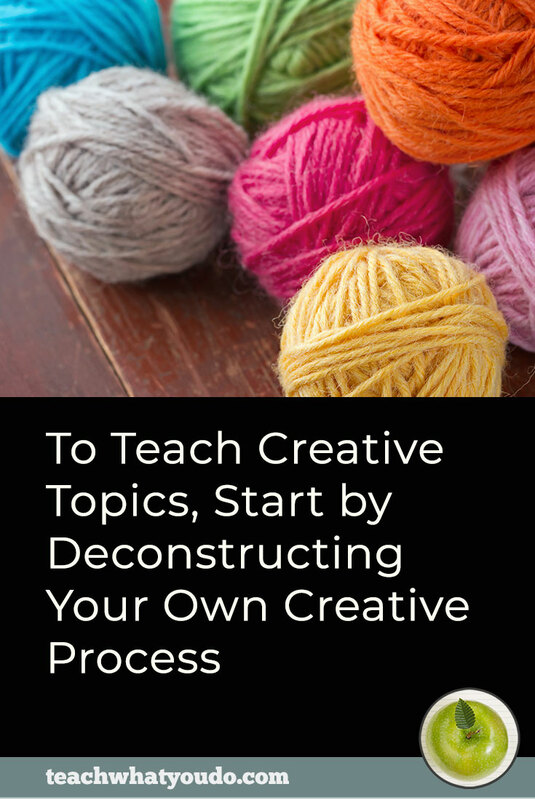 Map out 1 to 3 lessons and create the content. If you're making video, choose and sign up with a secure video platform at the minimal level. I recommend Vimeo or Wistia. You could use private videos on YouTube, but if you're serious about teaching online, you will need a place to store and encode videos so that they play back smoothly on any device. Make a password-protected page on your website and present/link to your lessons from that page. [OPTIONAL] If you're making video lessons, create audio and transcripts to accompany them. If you're creating audio, create a transcript. If you're creating a pdf, create an audio version. 3. Build something and record the process as you go – OR- demo and teach a tool your students need to learn. If you teach people how to make logos, record yourself making one step-by-step (or teach them the basics of a graphics tool like Adobe Illustrator). If you are make window treatments, record the entire process from choosing the fabric to cutting the project to sewing and then final installation (or, if you want to go the tool route, teach them how to thread and do simple stitching with a sewing machine). Got the idea? Choose a project that will give your students a quick win and that shows off your expertise well. If you don't already know how to record your work (for a digital/computer project you'll use screen capture software and for a live project you'll be setting up your camera with lights and microphone), now is the time to learn. Set aside a day to record a small piece of work. Keep looking at the recordings to see if it's working as you intend. If you don't already know how to edit video, now is the time to learn. Record your entire project. Edit the video of it to create a lesson that isn't slow or repetitive. Overlay text on the video where helpful. 4. Gather 2 or 3 experts in your field to interview on a focused aspect of your topic. Are there experts in a your field that you could bring together? And is there a focused topic that most of your student need to start with? Make your own panel discussion or interview series as a mini-course. Find 2 experts who say yes to interviews / panel discussions with you on a focused topic that can give your students quick and certain wins. Get a friend to attend a couple of practice sessions to make sure your screen and or webcam are showing correctly, that you can be heard, and that you can successfully create a recording. Prep interview structure and share with your experts. Run the live interviews and record. You'll get to that eventually, but if you don't have one now, stop letting it hang you up. Let your students know that they're your beta group, price accordingly, and try this quick way to give your class a home. Add the lesson material and links to this page. Send the page url and password to your students via email. But what about accepting payment? Again, you'll get to a rich sales and cart experience eventually, but if you don't have one now, try this. Set up an account with a payment processor like Stripe. You might also set up Paypal. Set up an account with a low-cost, easy-to-use shopping cart product like Moonclerk or e-junkie. Connect your payment processor to your cart. Make a super-simple sales page. If you've got an email service, connect your shopping cart to the email service so that purchasers are added to your list. If you don't have one yet, it's ok. You'll get the names out of your cart manually and email them details about accessing their class. There are still several steps to each of these approaches and you will need to get rudimentary class page and payment gateway services set up. So, yes, there still is a bit of work to do. The thing is, though . . .
. . . when you do this work for a starter class, you will have beginner systems set up–which will make it easier to offer yet another class sooner. It's not always easy to suit up and enter the fray. Yes, you might get knocked down. Sure, there's a chance no one will even come to the game. But, with this approach, you've reduced costs and you're creating assets and systems that are essential to playing a bigger game in the future . . .
. . . and I'm going to bet on you and say that you will have students and successes — and even better: MOMENTUM. Click on the gold bar above to download the free checklist that we've made for you right now and use it to get started with your work.